Coles can take your production part and design and build a complete factory assembly line or a lean work cell. A significant and recent machine built by Cole's Machine, Inc.
Coles Machine has designed and built pump testing and assembly equipment for the automotive, agricultural and general industry. 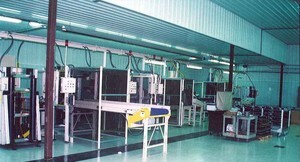 They have helped in the R&D of a product right to the production assembly equipment. 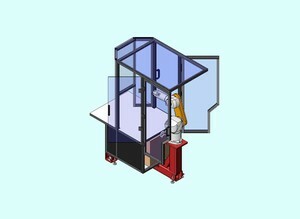 Coles machine has designed, built and worked with several automative cusotmers to develop testing and assembly of Mass Airflow sensors. 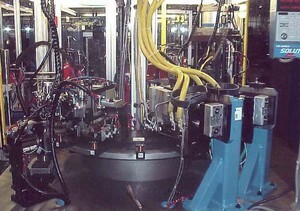 Coles Machine has built several automotive electrical coil welding and testing machines for all industries. 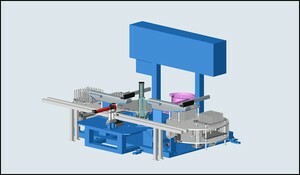 Cole's machine will help you integrate your next plastics related automation cell. We offer the following service.Automation for your both vertical and horizontal press up to 3000 tons. 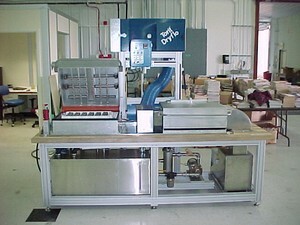 Cole's Machine, Inc. offers a complete desgn service from design to design and build or just build to your desgn. Their team of designers will work with you company. 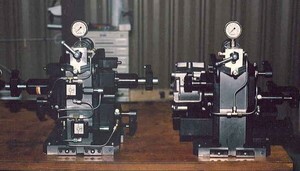 Cole's Machine, Inc. is a multi-generational, family owned business founded in 1967. 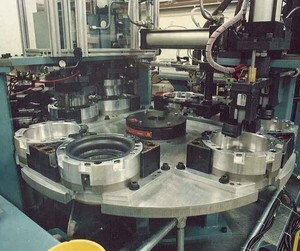 There company provides a complete solution to your needs, whether it be prototype R&D, automated assembly and test equipment, precision gages, hydraulic/pneumatic machining fixtures, molds, replacement tooling or short run production. With their highly educated and experienced team of engineers, journeymen and designers, Cole's offers superior quality and service to its customers as well as a superior product. Cole's strives to not only meet your company's needs, but to exceed them. 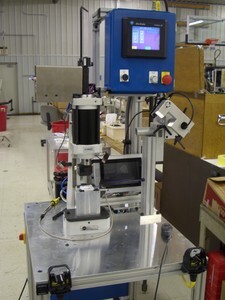 Cole's machine has built several vision guided six axis robotic cells for both automotive and medical device applications. We look forward to working with you on your next design and build or just build to your specifications. 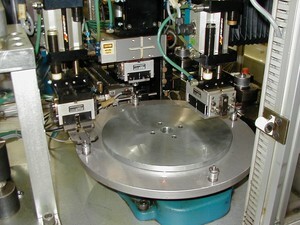 Coles Machine has built for their customers, special purpose machines for either machining or assembly. 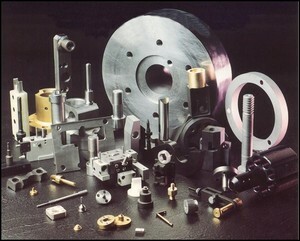 Cole's Machine Design department can assist your company in the design of tooling and full automation systems. Cole's has extensive experience in the following design platforms. We look forward to assisting your team with your next project. 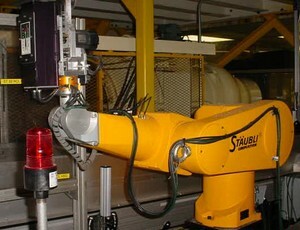 Cole's Machine can design a robotic solution from concept to reality whether it uses a 6-Axis, Scara or Parallel Arm system. They will provide a complete integrated solution including programming, end-efector tooling and guarding. They look forward to quoting your next project. 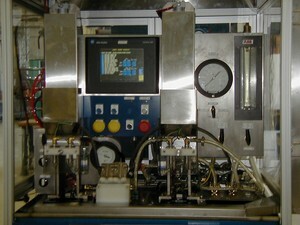 Coles machine will desgn and build your high pressure pump and wash system to your parts specifications. 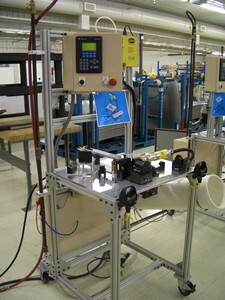 Coles Machine designs and builds lean cell automation. 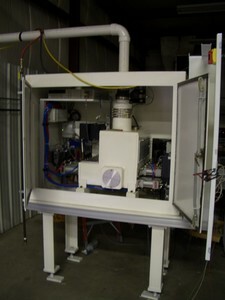 Manual and semi- manual cells for assembly,gluing,UV Cure, nut driving and testing. 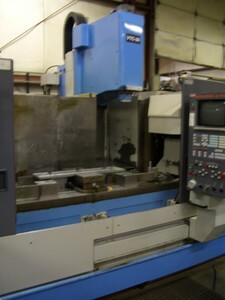 Coles Machine has 4 four axis Mazak CNC machining center ready for your short and medium run production. 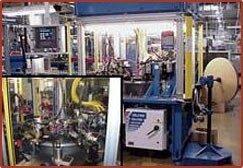 Coles Machine offers a design and build of Hydraulic work holding fixtures. All fixturex are 100% tested and incorporate integrated internal coolant flush. Part sensing capibility for correct loading of parts. Over 35 years of experience as a proven Global Supplier of stacking towers that manage your transport, handling and storage needs. This industry leading product is now being offered in the North American market. Local sales, service and technical support is available to ensure the successful implementation of your project. Please contact us for more information about our industry leading products and innovations.